When they first surfaced, the Air Jordan 1 Retro High OG “Origin Story” appeared to be a puzzlingly remastered version of the famed OG “Chicago” colorway of that same iconic silhouette. For weeks, it garnered relatively high numbers of criticism as its royal blue tongue tab, spotted upper, and icy blue outsole seemed like questionable embellishments to add to such a beloved sneaker. 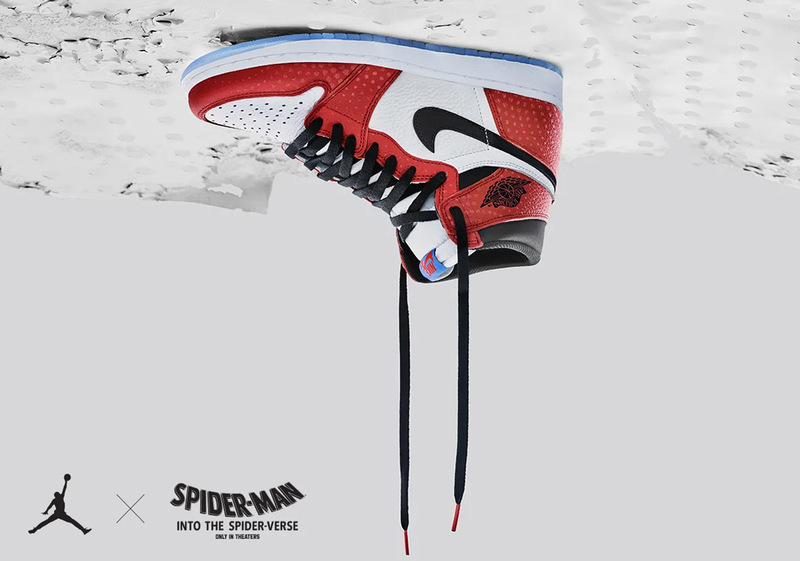 But, once it was revealed that these Jordan 1s were designed in conjunction with the upcoming “Into The Spider-Verse” animated film and began popping up on the feet of Miles Morales on billboards across the country, things began to make sense. Those aforementioned upper spots are likely a nod to Spidey’s web-slinging, wall-clinging abilities as well as Ben-Day dots often used when illustrating comics, and the Photo Blue tongue tab is a reference to his time-tested and recognizable super suit. Slated to arrive in a full array of family sizes, interested parties should check out our detailed where to buy list below in advance of the anticipated December 14th drop. Keep in mind, links will continue to be added up until the 14th, so be sure to refer to this post often.